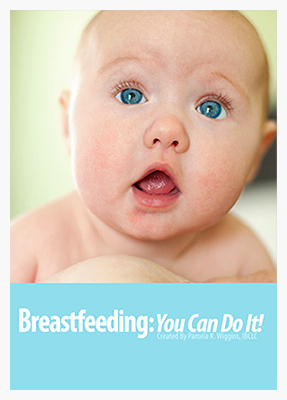 Go to Why Should I Nurse My Baby? 3 versions: Giveaway, Classroom and Looped. A three time Award-Winning DVD! For many new mothers, watching other women breastfeed is the best way to learn. 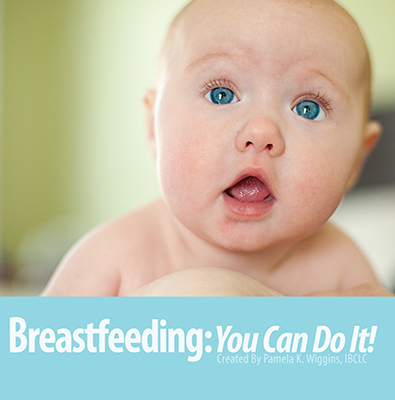 Breastfeeding: You Can Do It! 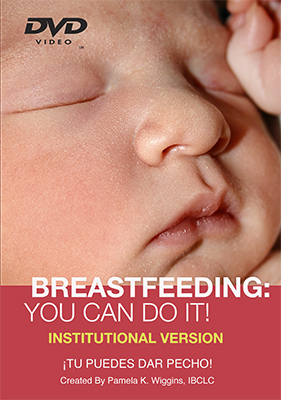 provides moms with a visual demonstration of breastfeeding and explains how to do it. Featuring 30 families of various ethnicities, this DVD is thorough, up-to-date, and evidence based. The quality is outstanding and it is beautifully filmed, yet priced low. It makes a perfect gift for new parents! Every disc has these 4 videos in English, Spanish and Vietnamese! Designed and licensed solely to be given away to moms. For individual use only. Packaged in cardboard sleeves. Sold in packs of 25 DVDs. Licensed to be used in an office or small classroom, or for individual retail sales. Packaged in standard DVD cases. Sold individually. Looped to repeat content. Perfect for waiting rooms and hospitals. Packaged in standard DVD cases. English & Spanish only. Sold individually. NEW FLAT PRICE of $2.95 per DVD. Call for prices on 2500 or more.